Rana Mazumder is an Indian singer and music director, who works in the Hindi and Bengali film industry. 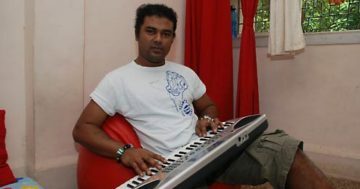 He debuted as a playback singer with 88 Antop Hill (2003). Rana has worked in movies like Jannat: In Search of Heaven… (2008), Billu (2009), Ajab Prem Ki Ghazab Kahani (2009), Once Upon a Time in Mumbaai (2010), The Dirty Picture (2011), Dui Prithibi (2010), Fukrey (2013) and Kelor Kirti (2016). In 2017 Rana served as one of the music directors on Tigmanshu Dhulia’s Raag Desh. The other two music directors who worked on the movie are Dharma Vish and Siddharth Kasyap. His 2018 release includes Saheb Biwi Aur Gangster 3.